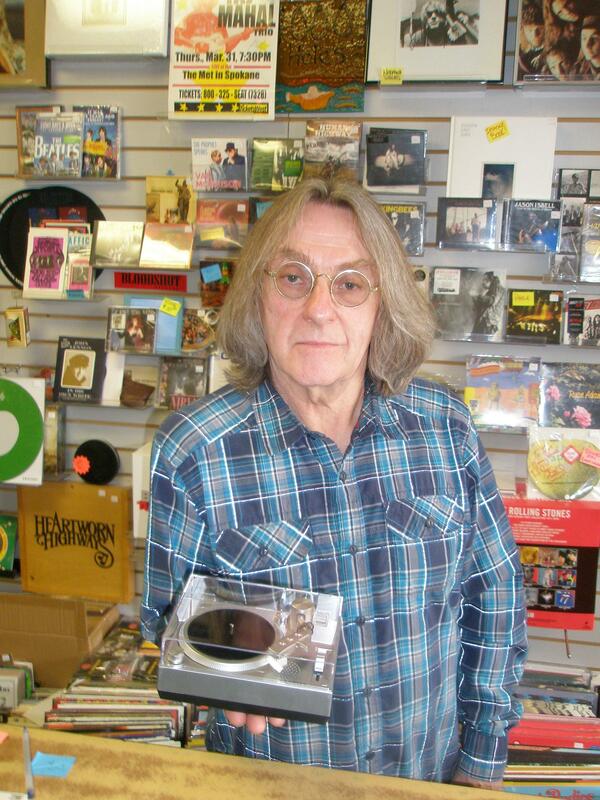 Bob Gallagher of 4000 Holes and a record player for three-inch records. The event began a little over a decade ago, when independent record stores nationwide teamed up with several record labels to offer limited edition releases on good old fashioned vinyl records, which were starting to become popular again. Now Gallagher says the sales of records has remained strong, and he says the special offerings this year are strong. “Pearl Jam is always a big one. Grateful Deads are always very popular, and very limited. Sound tracks are very popular, with South Park, the crow, some very desirable soundtracks. We have some interesting releases, some Brazilian releases, some punk, some metal,” he said. And one very interesting piece this year, a tiny turntable that literally fits in your hand. “It’s a three-inch record player that has some limited edition records you can get. The record player comes with a Foo Fighters single, and Third Man has a four-record set. They call it a blind box. You don’t know what you’re getting in them,” Gallagher says. He says there are five independent record stores in town participating in the sale on Saturday.